Sew Smooth Magnetic Bobbins, "L" Style uses magnets instead of tension springs to prevent backlash or overspin, giving you consistent tension throughout the bobbin. Each bobbin has 134 yards of continuous filament polyester thread. Magnetic bobbins reduce lint and residual build-up in the bobbin case. The magnetic core prevents backlash or overspin and eliminates the need for check springs. These bobbins are wound with the industry standard twisted polyester thread. Sew Smooth Magnetic Pre Wound Bobbin 'L' Style, Box of 144 bobbins. Sew Smooth Magnetic Bobbins, L Style, use magnets instead of tension springs to prevent backlash or overspin, giving you consistent tension throughout the bobbin. Each bobbin has 134 yards of continuous filament polyester thread. Magnetic bobbins reduce lint and residual build-up in the bobbin case. The magnetic core prevents backlash or overspin and eliminates the need for check springs. 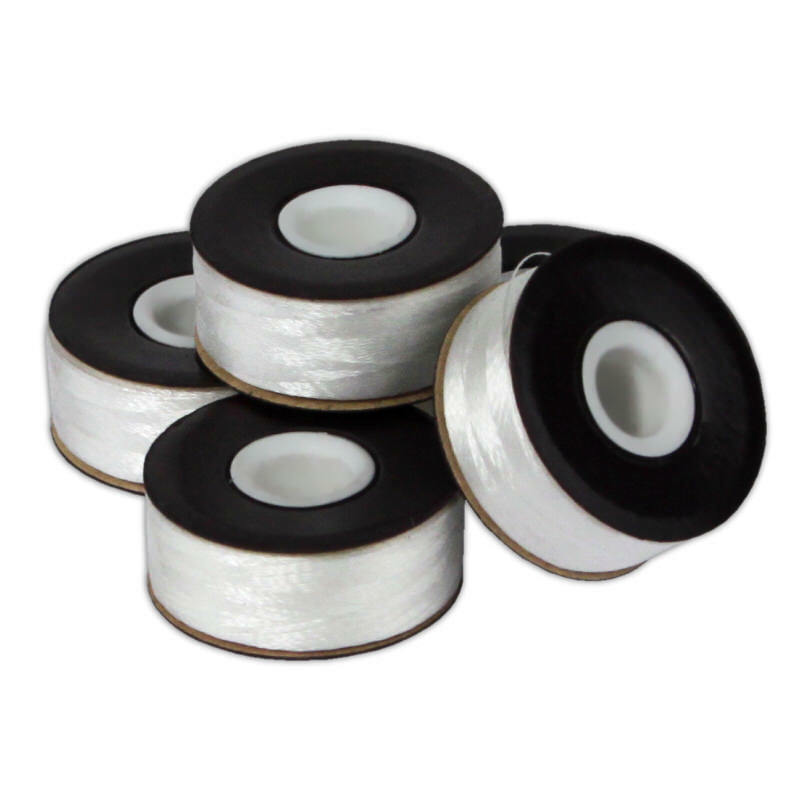 These bobbins are wound with the industry standard twisted polyester thread. Sew Smooth Magnetic Pre Wound Bobbin 'L' Style, Box of 144 bobbins.